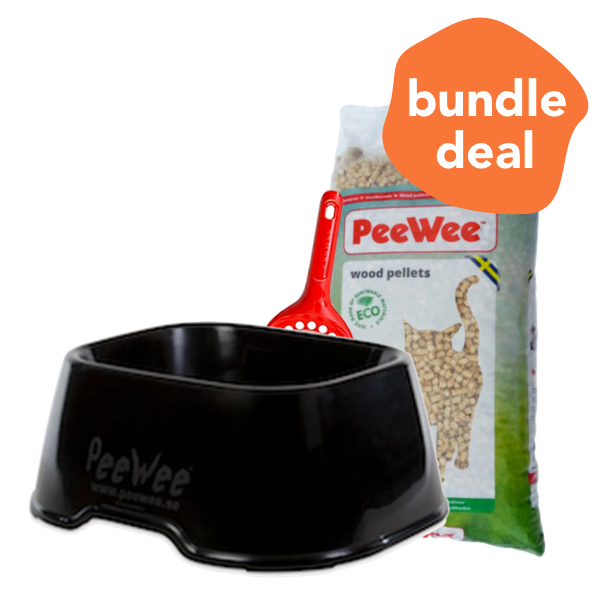 Purchase this and earn 150 Pawperks! 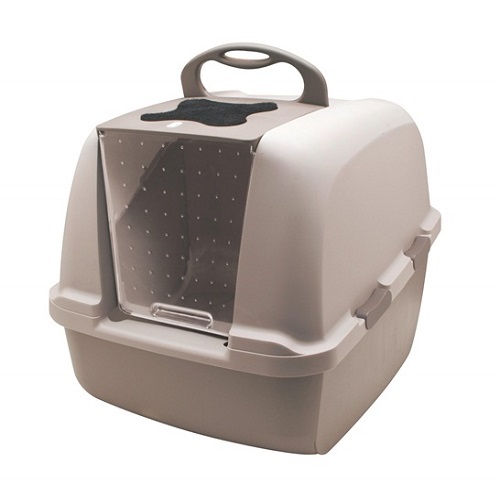 Love the regular Unicharm bins but find them a little too small for your large breed cat? 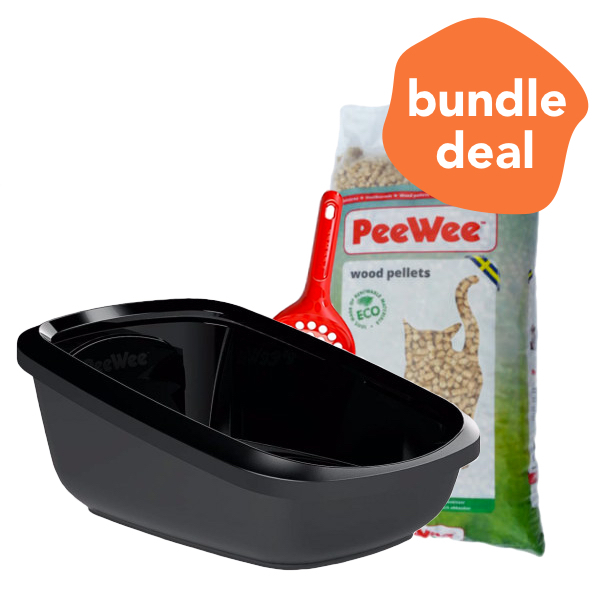 The answer to your solution is here! 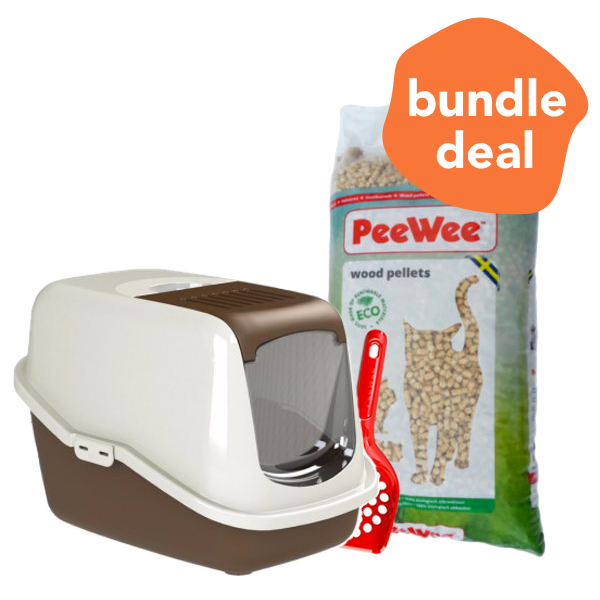 Introducing, the UniCharm DeoToilet WIDE Cat Litter Bin, a bin that is 1.7 TIMES the height and TWICE the area! 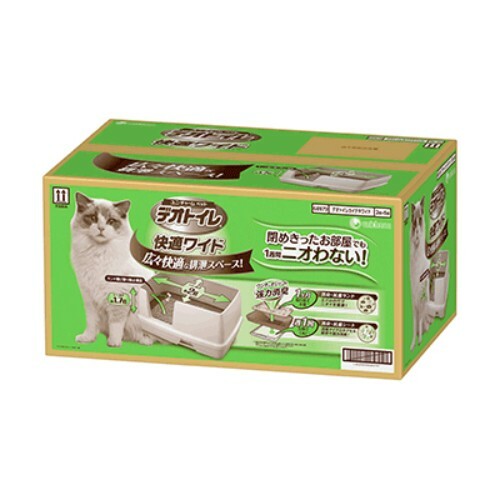 The UniCharm cat litter bin is designed to make cleaning up after your cat an absolute breeze. 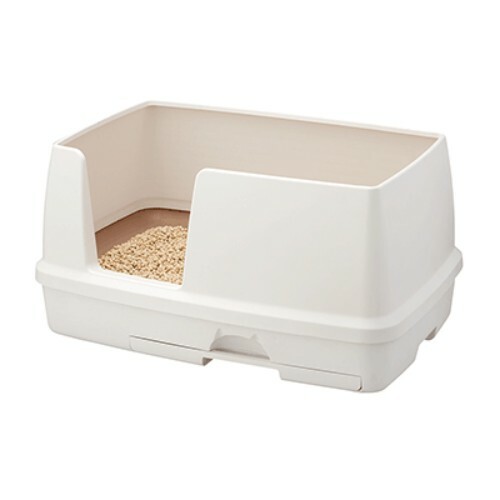 The innovative use of zeolite and silica-based cat litter combines with the unique dual-tier design of the UniCharm litter tray to extend the mileage of your cat litter, while effectively eliminating unpleasant litter box odours. 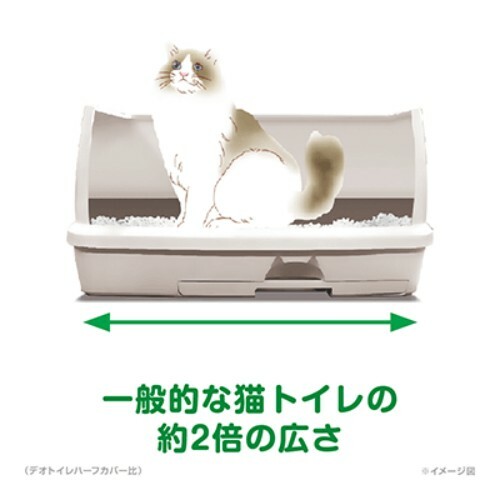 Despite its enlarged size, the UniCharm DeoToilet WIDE Cat Litter Bin’s unique design causes all liquid waste to efficiently gather at a containment point, which nicely fits a single piece of Unicharm Anti-Bacterial Sheet, just like the regular ol’ Unicharm bin! 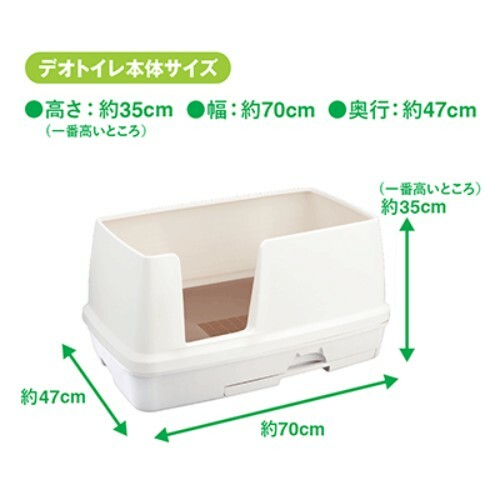 With the added feature of heightened walls, the UniCharm DeoToilet WIDE Cat Litter Bin is sure to provide your kitty with the privacy to do their business comfortably, just how they like it!